10 years ago this year Russ Hughes started the AIR Users blog, which morphed into Pro Tools Expert in 2012. To kick off our year of celebrations we are running a competition with a Pro Audio gear and software prize pot worth over $28,000. 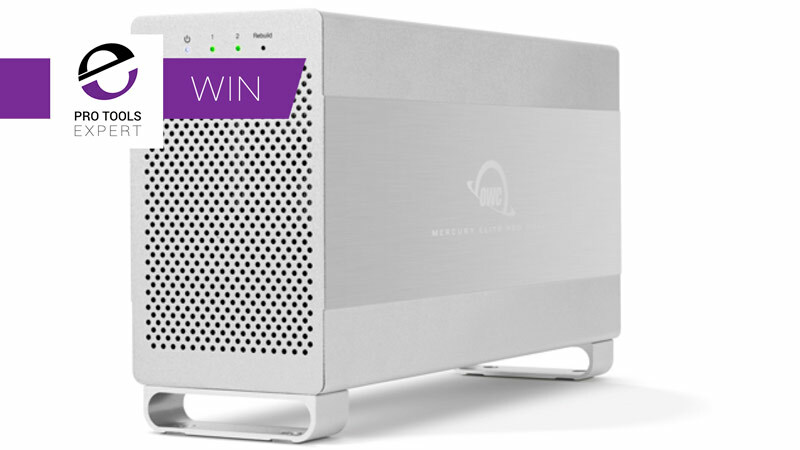 Enter The Pro Tools Expert 10th Anniversary Competition to be in with the chance of winning an OWC 6.0TB Mercury Elite Pro Dual RAID USB3.1/eSATA Storage Solution worth $317. The Mercury Elite Pro Dual is a fine example of a dual-drive hardware RAID solution for the audio and video creative, project archives, and system backups, where reliability and versatile performance are required. Containing two 3TB 7200RPM hard drives the Mercury Elite Pro Dual is easily configured in multiple RAID modes at the flick of an easy-access rotary switch. The Mercury Elite Pro Dual is built to seamlessly integrate with any work environment from high demand production studios to your home office and is equally at home working with Windows PC or Mac OS machines. Hardware RAID. This reliable hardware RAID maximizes the full potential of two 3.5" 7200RPM hard drives. It comes configured in high-speed RAID 0 mode for the maximum sustained throughput from your drives. With speeds up to 407MB/s, that's fast enough for HD video workflows. Configure the Mercury Elite Pro Dual in RAID 1 mode for the extra security of mirrored data, set up a span of the two drives, or use them independently. Performance. Mercury Elite Pro Dual features both high-speed USB 3.1 Generation 1 & eSATA ports to offer the connectivity and versatility to work with your current equipment at extremely high speeds. A second-generation, free-flowing brushed-aluminum chassis with high-performance fan gives cool, quiet operation. In addition, drive-activity LEDs give you an instant overview of your RAID, and intelligent power management conserves energy and reduces wear by automatically spinning down the drives when inactive. Can you find out more about the OWC 6TB Mercury Elite Pro Dual RAID Storage Solution at the OWC website. You can also check out James' review of the Mercury Elite Pro in Thunderbolt configuration from 2017. We are very pleased to announce that as part of the Pro Tools Expert 10th Anniversal Prize Draw Marco Saitta from Rome, Italy has one an OWC 6TB Mercury Elite Pro Dual RAID Storage Solution. 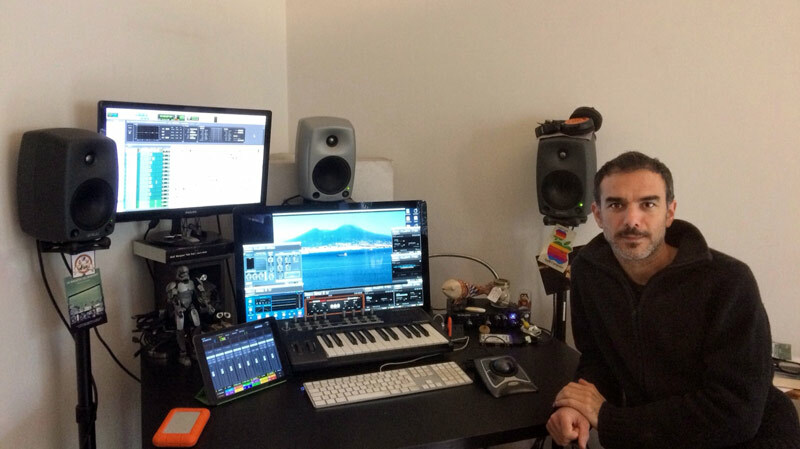 I'm a Sound Designer and Re-Recording Mixer for film and documentaries based in Rome, Italy. As a freelancer, I work in many studios, one of these is my home studio, and usually, I travel with many hard drives with sounds, sessions, backups, cables, power supply and everything I need to do my job. I have used OWC products from many years (some month ago I got a Thunderbolt 3 Dock) and now I will choose the Mercury Elite Pro, to travel lighter, only one small enclosure, the quietest fan on the market and a super speed perfect for big or small projects! Thank you OWC, thank you Pro Tools Expert, happy 10th anniversary, I’m a lucky man! We would like to thank everyone who entered the 10th Anniversary Prize Draw and if you would like to be in with a chance of winning more software and gear from our partners, check out the Partner Win section of our Win page.